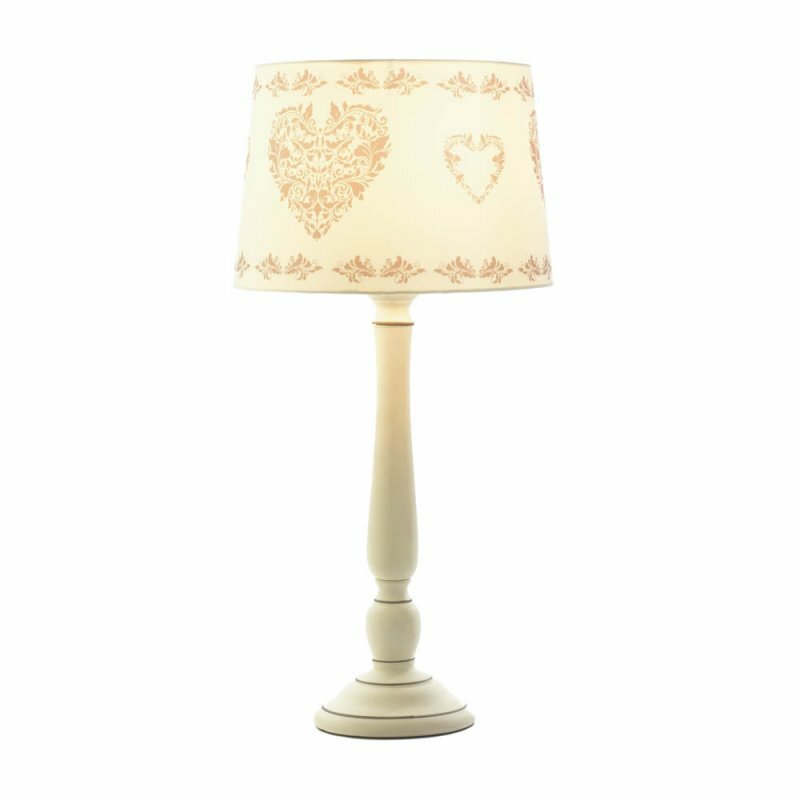 This little country charmer will light up your bedside table or nook in your living room. 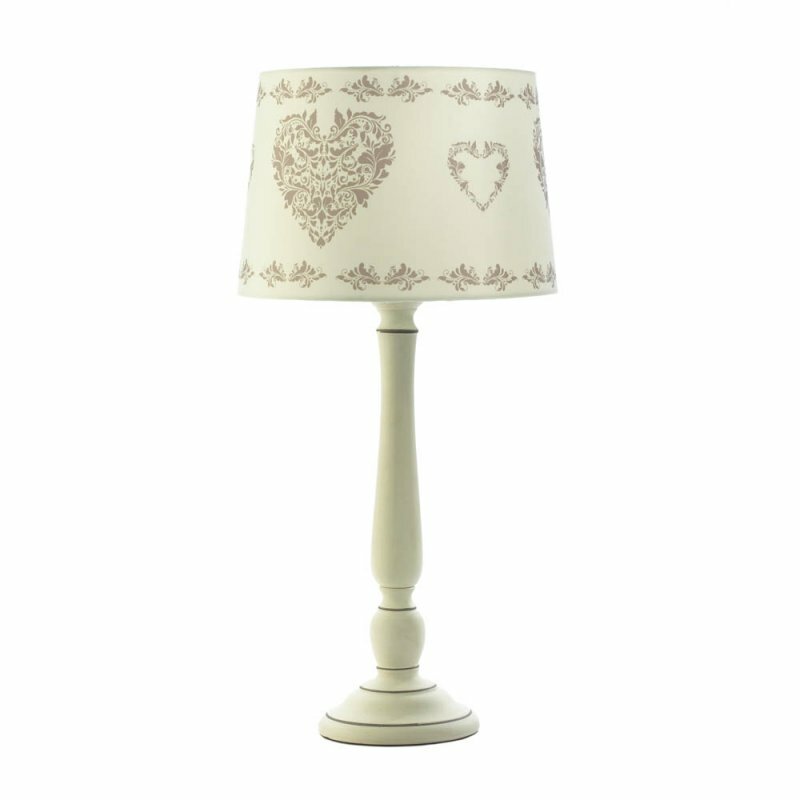 It features a white ceramic turned lamp base topped with a fabric shade that features intricate heart designs. 60 watt bulb not included.